PLAYERS and officials at Matthews Netball Centre were among 8500 people who supported Netball WA’s Mental Health Awareness Round by wearing blue arm bands on Saturday. The initiative was part of the World Health Organisation’s global Depression: Let’s Talk campaign. 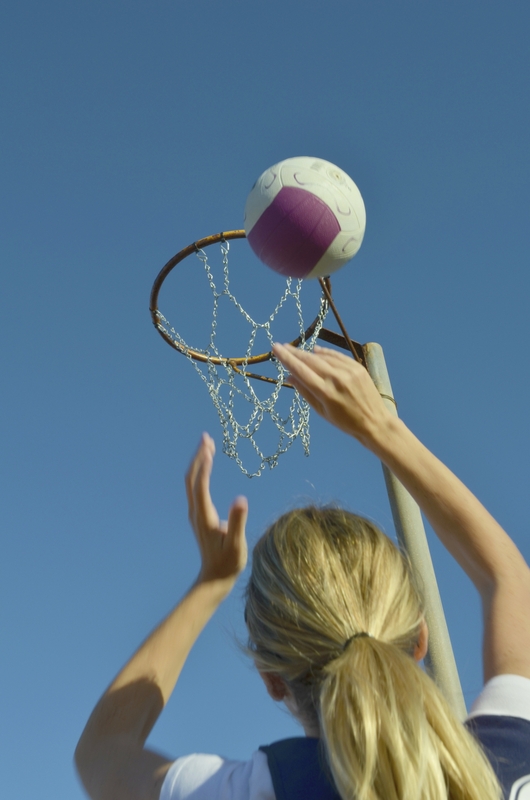 Netball WA Community Netball general manager Liz Booth said the Mental Health Awareness Round was crucial in reducing the stigma around mental health. In the final round before a three-week break, City Beach Surfers (2) defeated Classics (2) 53-46 in the open division one competition while Phantoms beat Classics(1) 65-57, Floreat (1) had a 35-28 win over Scarborough and CBS (1) defeated Jets 57-23. CBS (2) had a 52-33 win over West Coasters (1) in the junior division one competition, Classics (1) defeated Methodist Ladies’ College (1) 53-45, CBS (1) beat Storm 50-29 and John XXIII defeated Classics (2) 51-26. In the Junior Year 7-8 division one competition, Newman Sienna Netball Club (1) defeated Mercedes 45-22, MLC (1) had a one point 40-39 win over St Hildas, West Coasters (1) beat Scarborough 55-17 and Classics defeated CBS (1) 56-24.